At 1MFWF, we know that work flexibility is good for workers, and it’s good for employers. 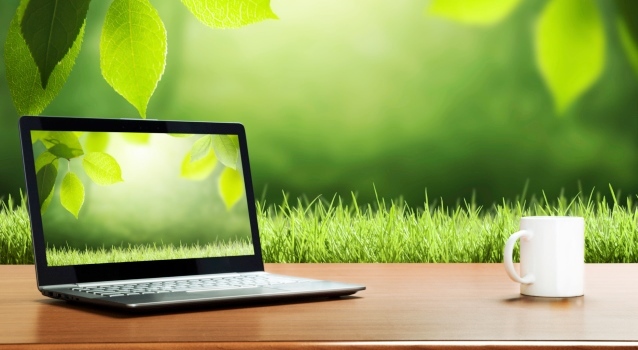 But as we’re about to celebrate Earth Day on April 22, now is the perfect moment to highlight the many ways that work flexibility is also good for the environment. The average American spends about 50 minutes a day commuting. Traffic jams currently account for 26 million extra tons of greenhouse gases. According to 1MFWF supporter Global Workplace Analytics, telecommuting just half-time could reduce carbon emissions as much as taking all New York commuters off the road completely. Beyond reducing or eliminating the damaging effects of commutes, teleworkers are also in a better position to regulate their work environment in an eco-friendly way, by opening windows for fresh air in the summer and layering up with sweaters in the winter, turning off lights when they’re not needed, stocking up on house plants, and recycling efficiently. Flex workers can also help employers save big on real estate, which translates to a lower carbon footprint. Learn more from Green Business Bureau VP Kevin Ng and FlexJobs HR director Carol Cochran about the many ways you can use flex to make your job more green. Kevin Ng is VP Finance and Operations of Green Business Bureau, which offers the leading online green business certification program for small and medium-sized businesses. He has a background in finance and believes that businesses should be structured around and governed by people, planet, and profit. Kevin holds a BA in finance from Pace University and an MBA from the Honors program at Zicklin School of Business. His journey into social enterprise began when he and two colleagues formed Bennu LLC, a social media marketing firm focused on sustainable business practices, after graduating and competing in the Baruch & Merrill Lynch Entrepreneurship Competition in 2009. Carol Cochran is the Director of Human Resources at FlexJobs. She oversees all aspects of human resources, including recruiting, development, and retention, as well as provides flexible work, career, and job search advice to job seekers and employers. She has great hands-on experience and knowledge in recruiting, managing, and engaging a 100 percent virtual team.